Time and again, Pilates has proven itself to be an effective way of strengthening the core, increasing flexibility and building heart endurance. The AeroPilates Pro Reformer 5102 is the all-in-one Pilates solution, designed with a rich feature-set and your performance in mind. The Pro Reformer 5102 will give you the low-impact workout you desire in your own home. The Pro Reformer 5102 is user-friendly and allows for endless workout potential. Use the patented Cardio Rebounder for a fun, low-impact way to improve your cardiovascular health, flatten your stomach and strengthen your pelvic floor. Because the Rebounder is used lying down, you’ll experience a cardiovascular workout comparable to a treadmill without the joint discomfort. The pole adds many more exercises to your repertoire. Use the pole for an increased sense of balance in your standing exercises. Handles on either end of the pole will provide hand comfort during longer sessions. Lastly, use the foot bar for a variety of traditional Pilates exercises. The wide, padded platform lets you do standing, seated or lying exercises. When you’re ready to up the intensity, adjust the five-cord tension. Differing cord intensities allow for a wide range of resistance. The yellow cord offers less return, forcing the core area to work harder. The two red cords offer a stronger level of resistance for a faster return, working on the major mobilizing muscles. The two standard black cords offer a medium level of resistance. Any combination of these easily-changeable five cords can be used to customize your workouts. The Pro Reformer 5102 is outfitted with elements that allow you to focus less on distractions and more on getting results. The high-density foam shoulder pads, 3-position headrest and hand/foot straps offer added comfort. Even during longer workouts, you and your Reformer will be stabilized with the six non-skid supports. The adjustable strap length accommodates users of all heights. You can also adjust the pulley height on the risers to change the intensity. Great for beginners and advanced users alike, the Pro Reformer 5102 includes four workout DVDs. 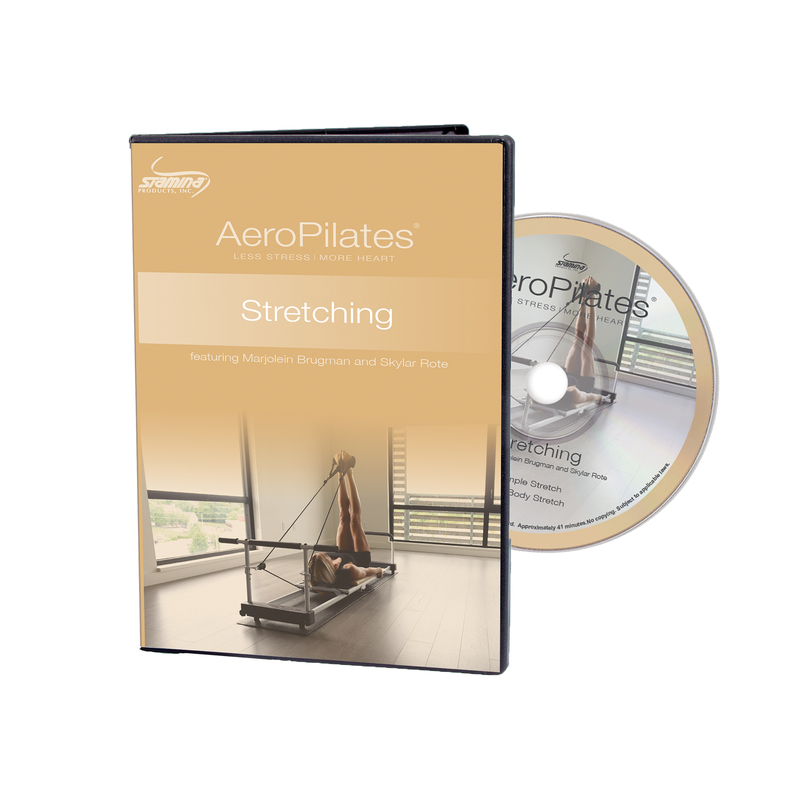 For an added dose of motivation, take your AeroPilates journey a step further with trainer Marjolein Brugman as she walks you through different exercise sessions, including the AeroPilates Primer (which includes all the information you need to get started in your AeroPilates routine), Basic Workout Package + Pole Workout, Strength and Stamina, and Stretching. Eight total workouts are included. You’ll also enjoy a 90-day online subscription to the Jumpstart video program (30 days of content), as well as a downloadable nutrition guide. The AeroPilates Pro Reformer 5102 is an affordable, effective way to accomplishing the fitness goals you desire most. 5102 Reformer, 4 workout DVDs, a 90-day online subscription to the Jumpstart video program (30 days of content), as well as a downloadable nutrition guide.